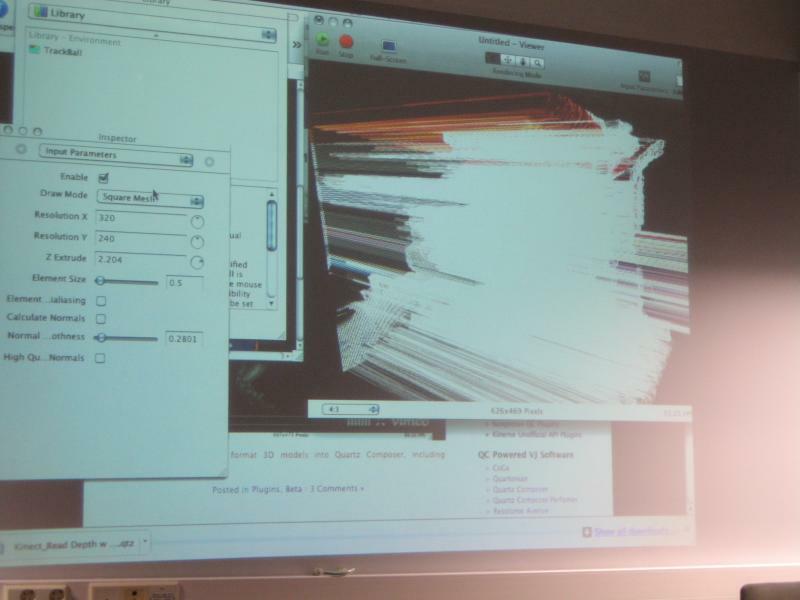 On 9/3/2011, the third and last (for now…) “Kinectic Jam Session” took place at Media Lab Helsinki. The objective of this last session was to provide some step-by-step tutorials on how to set up Kinect with different programming environments, such as openFrameworks and Quartz Composer. Go to http://mansteri.com/kinect/ and download both plugins under “Quartz Composer”. 3. Play with the pluggins, connect to Sprite patches, Structure Index/Key Member patches (in the case of TUIO), etc. Matti demonstrated a use of Kinect with v002.info’s rutt/etra patch (depth image connected to rutt/etra displacement image). for matters related to multitouch and gestures.